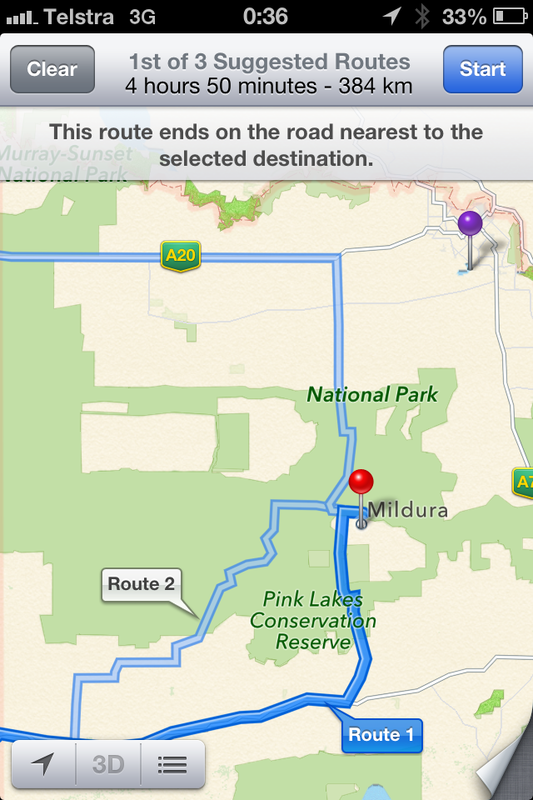 Mildura Police are urging motorists to find alternatives to the recent Apple Map system released with the iPhone IOS 6 after a few motorists have been redirected to the wrong location and have been stranded. Some have been stranded without water for up to 24 hours. The police are very concerned since the Park can reach temperatures of up to 114.8 degrees Fahrenheit so the police have deemed the map error, “potentially life threatening”. Police have contacted Apple but there hasn’t been any feedback from Apple when the issue will be fixed.